Conservation materials and techniques combined with the artistic experiences of the framers shines through, as their image and identity. 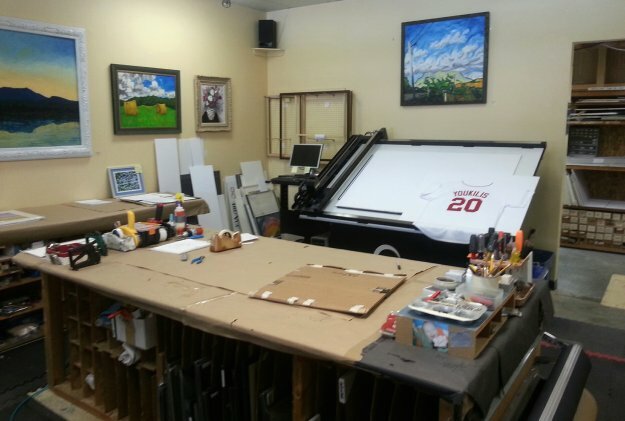 The shop operates primarily as a custom framing business but augments sales with commercial framing adding a large portion of their sales. They also do a fair amount of plaque mounting as price point alternative. The staff still finds time to utilize their talent using up scrap materials creating these funky mini-shadow boxes shown below. 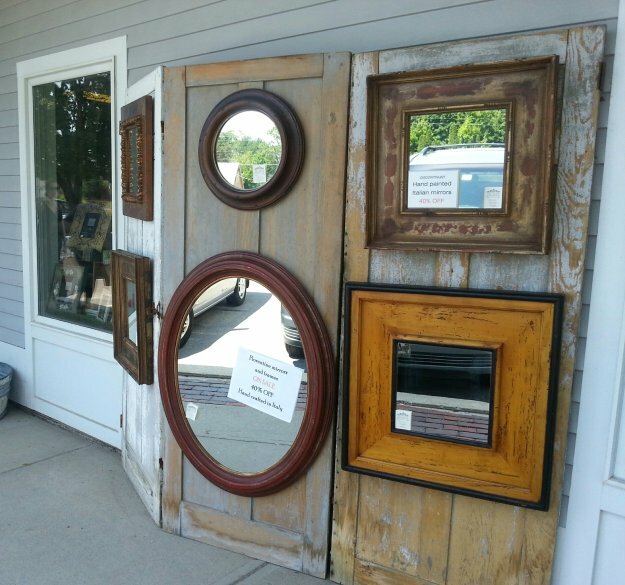 Many frame shops operate with one or sometimes two owners/employees, where this shop has the sales and size to employ 5-7 employees – Toni feels that this gives them a distinct advantage over smaller shops. 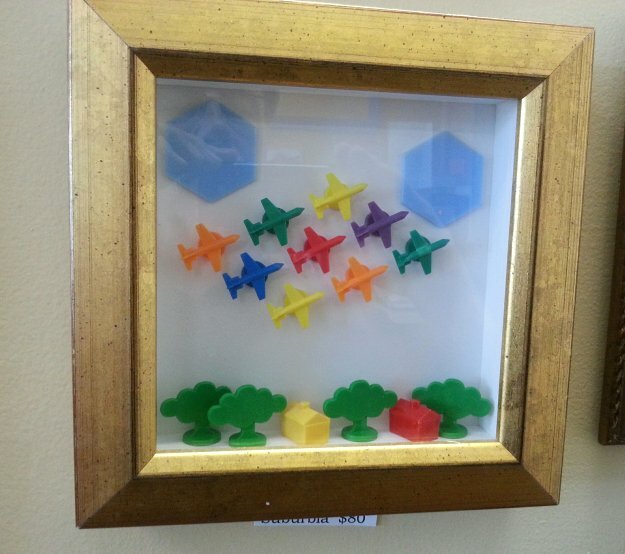 Using scrap moulding to create this fun and inexpensive mini shadow box frame was seen at Casco Bay Frames & Art in Portland, Maine. This long-established business has kept abreast with newer tools such as a POS system and a CMC which both aid in growth and efficiency. At the same time, they still value older and proven business habits such as stocking length moulding and matting as opposed to ordering on demand. This balance may explain why they have not seen one down year since the recession began in 2007. Just ten minutes north of Portland, lies Yarmouth and the home to The Village Framer. This framer caught our attention because they have embraced gifts to compliment their custom framing business. 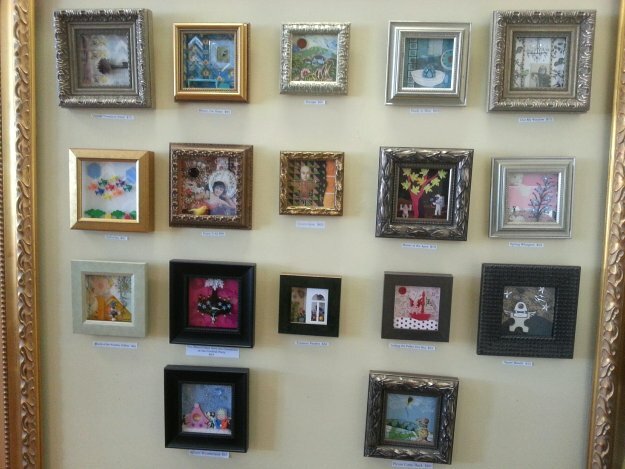 Melissa Cusano not only sells gifts and note cards, but has really put photo frames a predominate item in her shop. 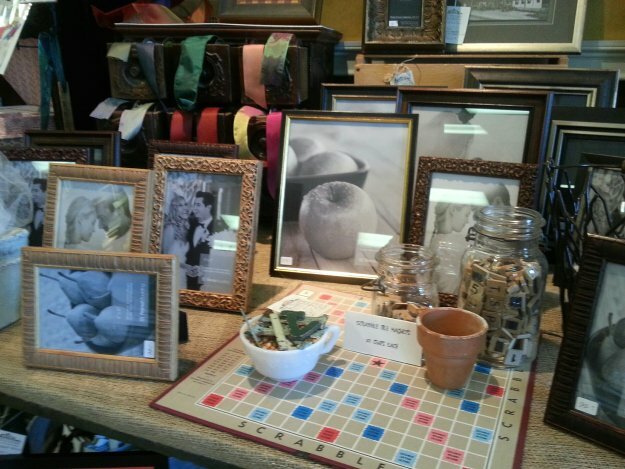 Photo frames can be viewed as a key cross over product that compliments custom framing but also is sold by many pure gift shops as well. It has a broader appeal to a variety of customers! Her inventory is deep and wide to the point that customers who visit once, will not forget that she is a destination for this staple that almost everyone purchases at some point in time. 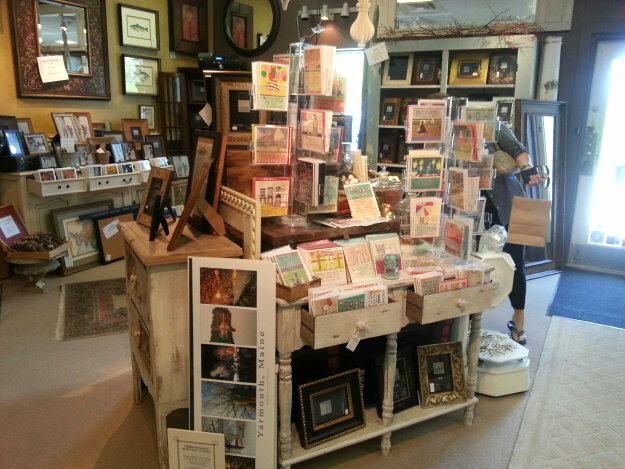 Wonderful attractive displays of gifts, note cards, candles and prints at The Village Framers in Yarmouth, Maine. Takeaways – Both framers that we visited in Maine have embraced technology. They both have highly visible locations and they both have key, trained and dedicated staff – themes that we have seen repeated in our 14 days of visiting businesses that have thrived in the recession. Although quite different to each other, both framing businesses have focused on specialty areas that set them apart from the competition, create sales, promote loyalty and generate profitability. 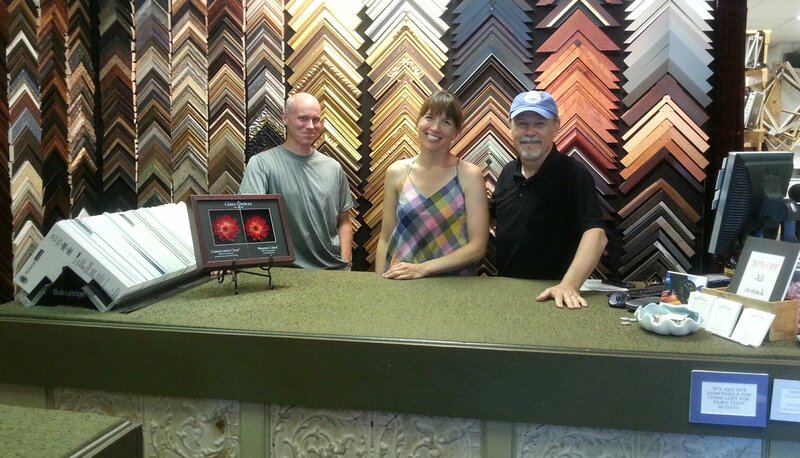 John Ranes chats with The Village Framer owner Melissa Cusano and framer Ryan Penny. Ryan has had framing experience in several Boston frame shops before coming to The Village Framer. We begin our journey home now – but we may surprise another shop on the return route!